Seeing Is Believing, Isn't It? Summary: Jesus wants us to declare Him before others. He said that if we don’t do that, He will not declare us to His Father. Where are you in that process? In a Peanuts comic strip, Charlie Brown is talking with Lucy as they walk home on the last day of school. Can you relate to Lucy? Seeing is believing, isn’t it? Most people have to see something before they can believe it. This is often how we describe the apostle Thomas, but is this saying really accurate?  Have you ever felt like you missed something big that everyone else seemed to know about?  Have you ever felt like you were not spiritual enough because of your past failures?  Have you ever felt like you could really believe even more in Jesus if you could just catch a glimpse of Him? If you have ever felt like this or anything like this you would be in good company with Thomas. In the 20th Chapter of John and verses 24-29 there’s the story of this Apostle called Thomas. 24 One of the twelve disciples, Thomas (called the Twin), was not with them when Jesus came. 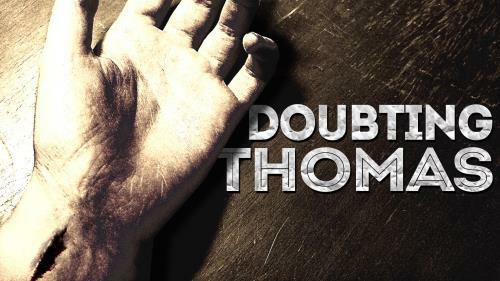 Thomas has been given a fairly difficult stereotype through the centuries because he is often referred to as doubting Thomas, but I don’t believe that the title truly fits this man. Thomas may have been a fisherman by trade; John includes him with several other disciples who join Peter in fishing all night. Chapter 21 and verses 1-3 describe what happened. 1 After this, Jesus appeared once more to his disciples at Lake Tiberias. This is how it happened. 2 Simon Peter, Thomas (called the Twin), Nathanael (the one from Cana in Galilee), the sons of Zebedee, and two other disciples of Jesus were all together. 3 Simon Peter said to the others, “I am going fishing.” “We will come with you,” they told him. So they went out in a boat, but all that night they did not catch a thing. Believe me; I have had too many fishing trips that turned out just like this one. Now this was no casual fishing trip, but rather it was a means of trade and income. In other words, it was work. It also makes sense that Thomas could have been a fisherman because many of the early followers of Jesus came from the area of the Sea of Galilee. Fishing would have been a major source of work in that area. 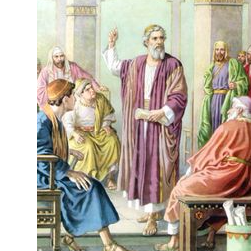 He was a disciple of Jesus from the earliest days of Jesus’ public ministry. 16 Judas son of James, and Judas Iscariot, who became the traitor. Another way we know this is that when they replaced Judas, one of the requirements in the book of Acts was that they must have been with Jesus from the beginning of His ministry. 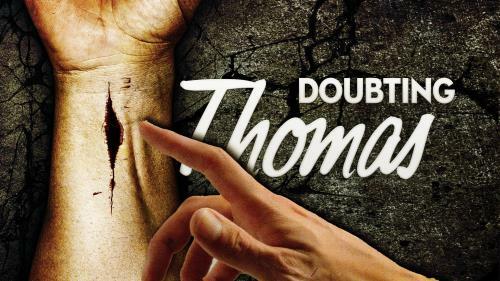 Thomas had made a choice to follow Jesus and he invested his life into seeking more and more of Jesus. Jesus wants us to declare Him before others. He said that if we don&#8217;t do that, He will not declare us to His Father. Where are you in that process?